My last week’s toot was about my blog’s new lay out. I was tooting because I finished customizing and personalizing the template that I just downloaded. But please, bear with me…I am tooting almost the same thing again. hehehe… If you can see, my blog has another template. This time, it was not a plain download but a total make-over and thank God I was able to finish it!! And then, just around 6:00am this morning, I was able to finished manually checking all sites and doing some follow-ups on all great people who participated in Project Exlinks. It really takes time doing blogs hops for almost 50 sites. But I was able to do all things thru HIM who strengthens me! Another thing, finally, I got my tooth extracted. It was long overdue but finally I was able to go to the dentist and got it mission accomplished too. And guess what!! My hubby has finally granted my desire to get my teeth braced!!!! I am visiting the dentist this Friday or Saturday to get it installed. Yepee!!! Hmmm….what else?? Let me see. Oh before I forgot…I also did my other blog’s layout make-over. I have done them first before here. If you have time…please check and see. Thanks in advance. 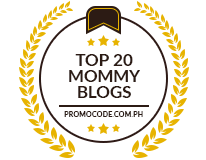 It’s at Pinay Mommy’s DigiScrap and Musings on Life and Lourdes’ Mia. By the way, guys…I have to go to bed now. I had promise in my earlier post that I would try to get back and work with all the things that needed to be done but my husband insisted that I should sleep early so that my gums wont bleed (it still hurts you know…booho!!). Anyway, don’t worry, I will visit your Tuesday Toots tomorrow. promise!! Please do leave a comment. Bye…see you soon!! hi sis pahinga ka naman baka mabinat ka, u deserve it…at elast medyo relax ka na kc ur layout is already up & about. 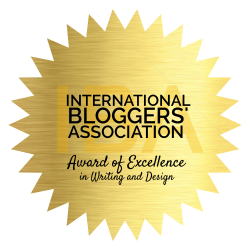 Congrats on your accomplishment – you did a great job with your blog. Hope you feel better too! Hi Ngay..thanks sa comment..sure you can count on me!! keep up the good work too!! great! !keep happy blogging!!! Hello,sis, i wanna say thank you to you for visiting me at my site.I wanna give my salute to you for being very helpful. I know i want to participate in your very laudable project but sometimes there are just many things to do,especially the household things and other family issues.But i appreciate your understanding.Keep up the good works! hey, visiting and checking how you doing. have a beautiful wednesday.